1. Oh My Gourd, it&apos;s Pumpkin Season! With multiple pumpkin patches in the area, it&apos;s easy to pick the perfect blank slate for a Jack-O-Lantern. One of the largest pumpkin patches in the area is at the McMillan Farms. Nothing says Halloween like a corn maze and pumpkin patch and McMillan Farms has both! You can also check out Davison Orchards&apos; Pumpkin Festival, with pumpkin patch tours, activities for the kids, and plenty of seasonal produce. Halloween is the time to have spooktacular nighttime fun! Many Kelowna establishments will be hosting Halloween parties the weekend before Halloween. Venues hosting a party worth checking out include BNA, Rotary Centre for the Arts, Hotel Eldorado, The Habitat, and CRAFT Beer Market. For a full listing of Halloween-themed events, click here. Looking for something to do with the kids? 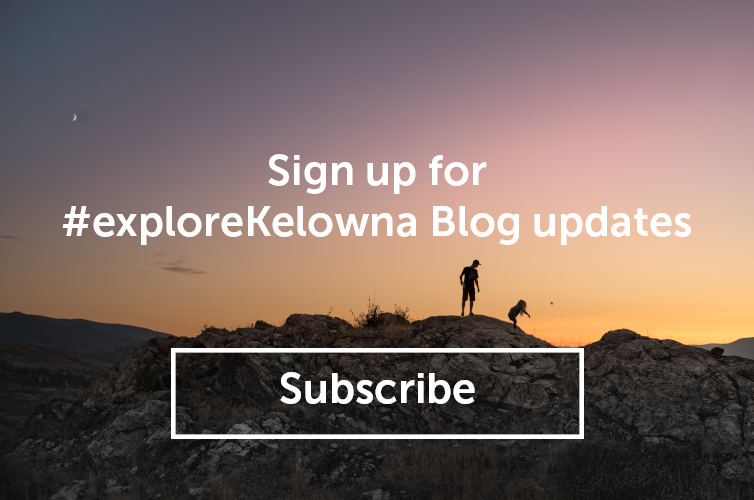 There are several options that will be entertaining for the whole family, including The City of Kelowna&apos;s Annual Monster Bash, Arion Therapeutic Farm&apos;s Halloween Harvest Day, and The Haunting at Safari Ridge. If you’re into getting spooked, there are a couple of spaces you&apos;ll want to check out. Myra Canyon Adventure Park has been transformed into a Haunted Halloween Horror Park, with both an adult scream zone and a family fun zone. For frightful fun without the kids, head to the Field of Screams at Historic O&apos;Keefe Ranch. These 3 haunted corn mazes, otherwise known as "3 Ring Mayhem," are filled with clowns and scary carnival carnage not suitable for young children. For those who want to celebrate Halloween by sipping on delicious craft beers, the Scary Cycle Tour is for you! Get your costumes ready to hop on Smile Cycle Tours&apos; decorated 15-passenger pedal bike, with free candy, prizes, and your favourite music. Tours are $31 per person and run daily through October 31. Click here to book your spot now. The View Winery is hosting their third annual Spooktacular Halloween Candy, Wine, and Cider Pairing on October 27 and 28, with doors creaking open at noon. Guests are encouraged to show up in costume. Even if you&apos;re not into Halloween, it is the perfect time to visit because it&apos;s apple harvest season. Imagine biting into a crisp, juicy, flavourful apple picked right off the tree! With over a dozen types of apples grown in the Okanagan Valley, it&apos;s fun to find your favourite local variety. Not only are apples the perfect portable healthy snack, they are also an ingredient in many delicious recipes, and if stored properly in a dry, cool place, apples can last for months.